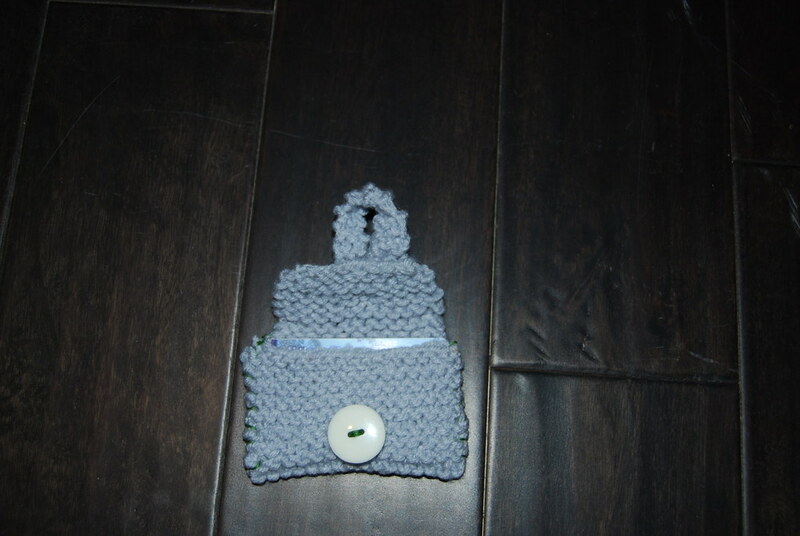 So recently I have taken up knitting and I just love it! Kristen inspired me and taught me how. I just finished my first knitting project! 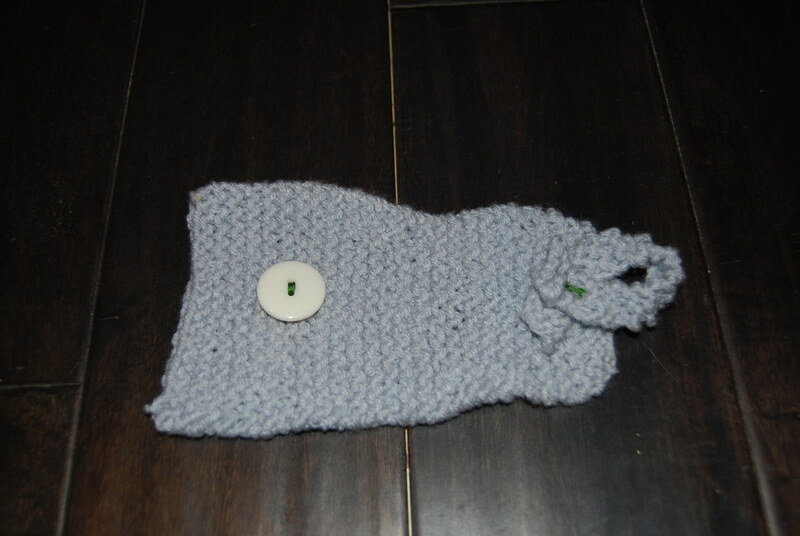 All I know how to do is the basic stitch and I don't even know how to do it perfect as you can see from my picture. For some reason I add extra rows so my yarn just gets wider and wider. Who knows what I'm doing! Bob's grandmother also helped me learn how to knit over Thanksgiving break so I wanted to knit her something for Christmas. 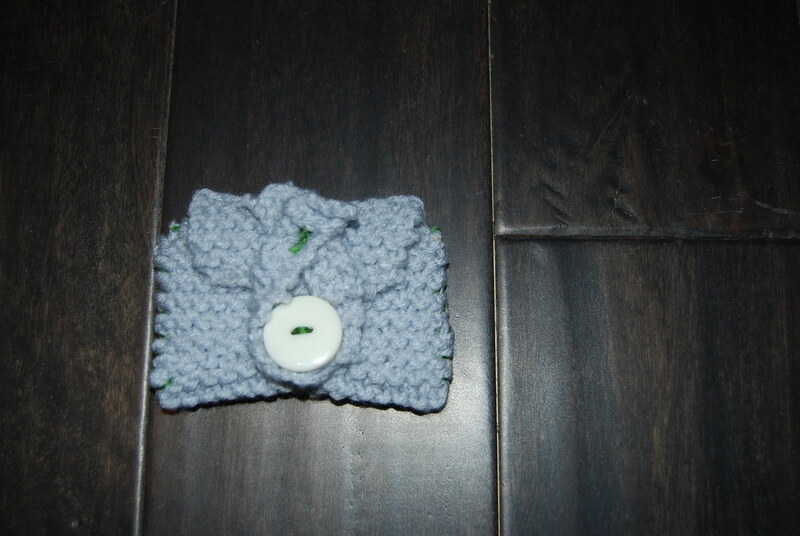 My original idea was to knit some coasters but my ability to knit in a even square is not there yet. 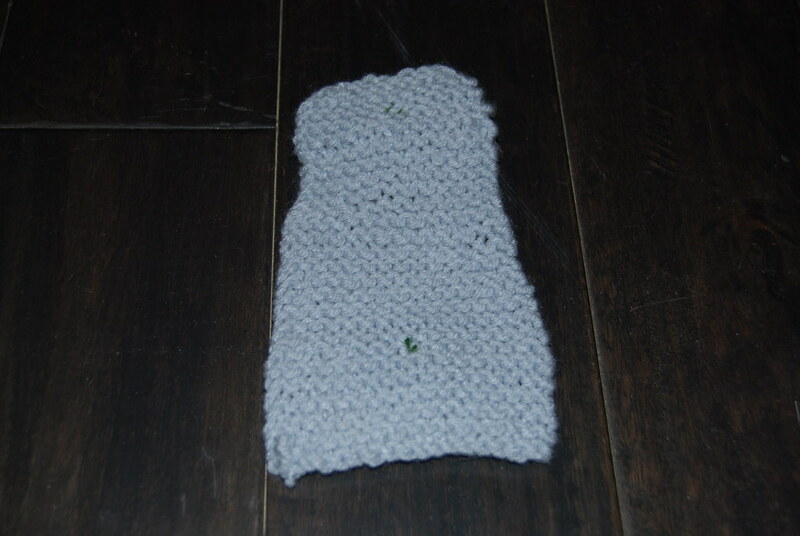 Turns out my uneven rectangle was just perfect for a little gift card holder though! I added a loop and button then sewed the sides together and it turned out so cute. That is so cute! The perfect Gift card holder! She will love it!